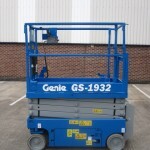 The Genie GS1932 is one of our most common scissors lifts. 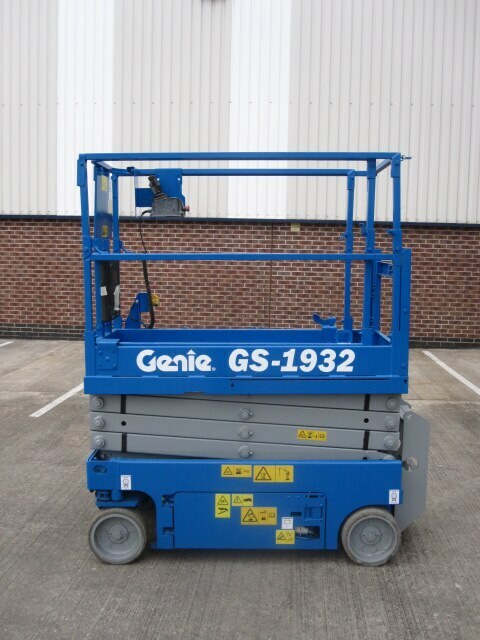 The Genie GS 1932 has a working weight of 7.79 metres (25ft) and a width of 0.813 metres . The robust yet compact design makes it commonplace in many industrial areas around the UK and ROI. It is particularly popular for mechanical and electrical contractors and internal fit out projects.